To some, a motorcycle is just an engine on two wheels. To us, they are works of art. It’s about time Southern Oregon had more exposure to this medium – a yearly event to bring you some of the most creative and flat-out sweet bikes around. 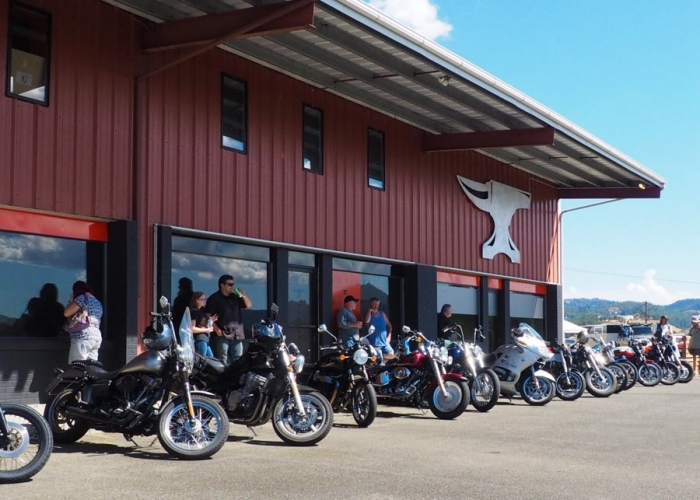 This is why Hesh Moto Craft Co. and Anvil Northwest is proud to bring you the 1st annual Hesh Moto Show, where bikes are the magnum opus. Featuring American, European and Asian customs – everything from trackers and bobbers, to cafe racers and complete custom builds. Want to enter your masterpiece? Head over to the submissions page and send us a quick description along with a photo and where you’re from. Entry is free and prizes, courtesy of Bell Helmets, will be awarded to the top three best-in-show! There will be a Bell Powersports helmet giveaway, country-blues & roots-rock by Neil Gregory Johnson and vendors offering the things you need and some you don’t. North Forty Beer Company will be keeping your gears lubed, and we’ll have local area food trucks like Rocket Dogs to fuel you. We are also excited to welcome our charismatic MC, Ron “Tikiman” Huegli, funny car driver and the curator of World of Speed USA Motorsports museum in Wilsonville, Oregon. PLUS raffles, giveaways, and prizes throughout the day. You don’t want to miss this!